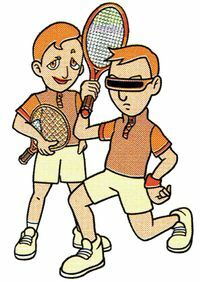 Elden is a character in the Game Boy Color version of Mario Tennis. He is on the Empire team. In doubles, he is partners with Spike. Alex or Nina can face them in the second round of the Island Open. In singles, he loses in the second round to A. Coz. This page was last edited on March 16, 2018, at 09:26.